In five locations across the world’s oceans, there exists a phenomenon known as an ocean gyres. These massive currents of water are responsible for some interesting effects on our world, making them a curiosity of modern oceanography. Ocean gyres are large, circular rotations of water that are caused by the Coriolis effect. While the term “gyre” is used to refer to any type of vortex, both on the land, sea, and air, ocean gyres specifically refer to the five large gyres that are located in the world’s oceans. 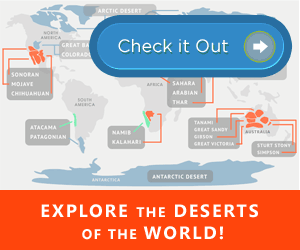 These currents are massive, with some of them being as large as the North American continent. 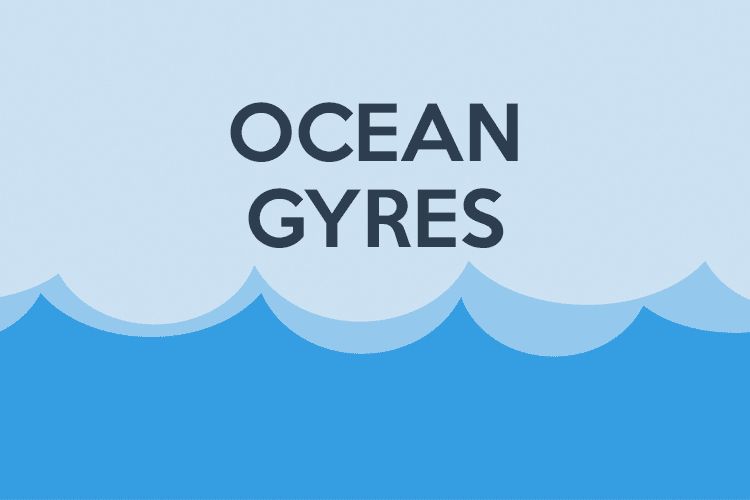 How are Ocean Gyres Formed? Ocean gyres are caused by two different forces acting on the water: the wind and the Coriolis effect. Earth’s wind patterns grab the ocean water and push it forward, however, these wind patterns are deflected by the earth’s rotation (the Coriolis effect) causing both the winds and the water they are pushing to swirl around in a circular pattern. Though the wind and the Coriolis effect are responsible for the creation of ocean gyres, it is the presence of continents that define their size and shape. If you look the map of the earth’s gyres below, you will notice that each gyre stretches across the ocean, stopping when it gets close to the border of a continent. However, there are also a large number of smaller ocean gyres, including gyres in the Arctic Ocean. There are three different types of classifications for gyres depending on their location. Tropical gyres occur near the equator of the earth. Since the Coriolis effect is not observed at the earth’s equator, the main force acting on the ocean water near the equator of the earth is straight-line winds. For this reason, tropical ocean gyres are much more elongated in their shape. As the name suggests, subpolar ocean gyres form near the planet’s poles. These gyres are smaller than the major ocean gyres and are found bounded by land masses such as Greenland, Iceland, the Aleutian Islands, and the northern tips of the North American, Asian, and European continents. 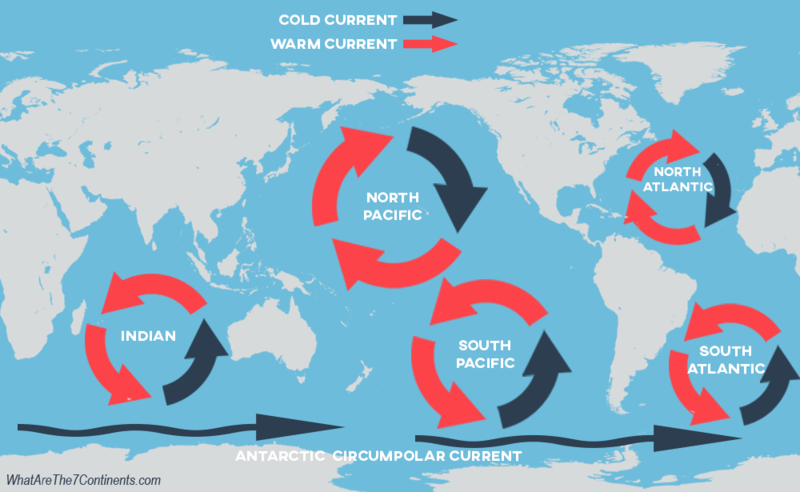 Lastly, subtropical gyres are the category of gyre that most all of the world’s major ocean gyres fall into (except for the Indian Gyre, which is actually two tropical gyres that come together to form a single rotation). Subtropical gyres form in the large areas of ocean between the poles and the equator and can often be thousands of miles in diameter. Though the ocean gyres themselves are constantly circulating, the area of water that they surround is actually calm and stationary. This creates a bit of a problem when it comes to environmental pollution. When garbage that has made its way into the ocean is carried into the center of an ocean gyre, there are no more outside forces acting on the garbage to move it any further. The result is that garbage will often collect at the center of ocean gyres and stay there for many years. Due to this, the North Pacific Ocean, the North Atlantic Ocean, and the Indian Ocean all have substantial patches of garbage. The garbage in the North Pacific, in fact, is so large that it is often either called the Pacific Trash Vortex or the Great Pacific Garbage Patch. Though some people estimate that the Great Pacific Garbage Patch is larger than the state of Texas, there is no scientifically sound estimate of just how large this garbage patch is. The reason its size is difficult to measure is that, by now, most of the plastics in the Great Pacific Garbage Patch have broken down into tiny particles. The Great Pacific Garbage Patch, therefore, isn’t so much a floating landfill as it is a patch of water with plastic particles suspended on its surface. Nevertheless, scientists are quick to not downplay the problem that garbage patches in ocean gyres present. Little is yet known about the long-term effects of plastic particles in the water, and some scientists estimate that the size of the Great Pacific Garbage Patch could double in a decade. Not a lot of life exists within the major ocean gyres. This, however, is not because of the garbage that gathers there but rather because the water itself is so calm. Without currents within the gyres to bring in fresh nutrients, the centers become oligotrophic, or nutrient poor. Without these key nutrients, plankton and algae are not able to thrive, and it is plankton and algae that serve as the base of the food chain for most all other ocean creatures. Nevertheless, some life does exist within ocean gyres, and scientists have only recently begun to understand the extent of it. With that said, it has also been recently observed that the oligotrophic regions within the world’s major ocean gyres are growing larger. Scientists have contributed this fact to a warming of the ocean’s waters since warm water most usually carries far fewer nutrients than cold water.